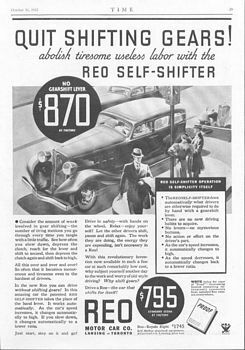 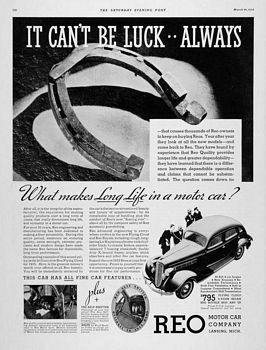 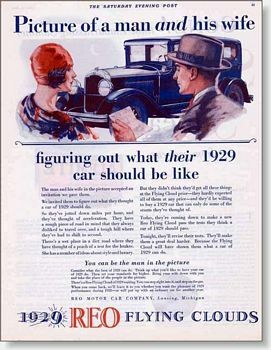 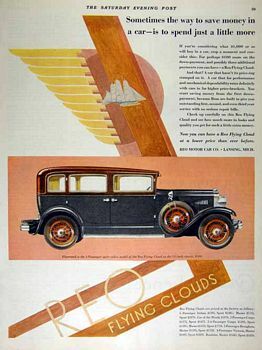 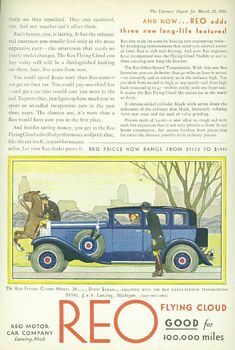 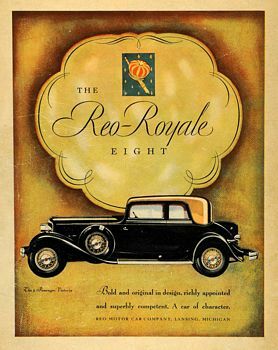 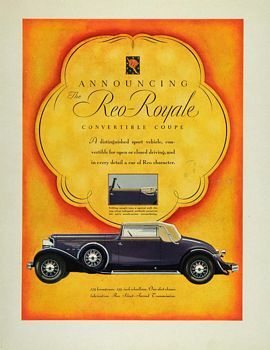 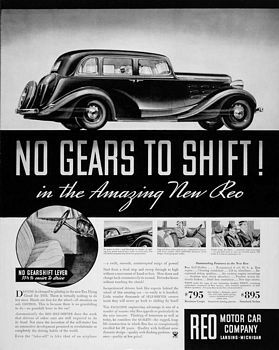 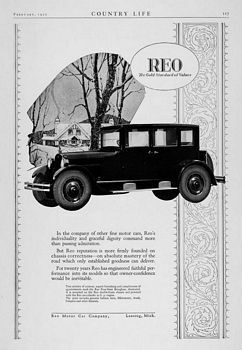 Classic Ads - Old Car Ads Reo Motor Car - classic Reo Motor Car ads. 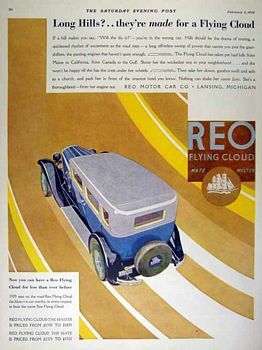 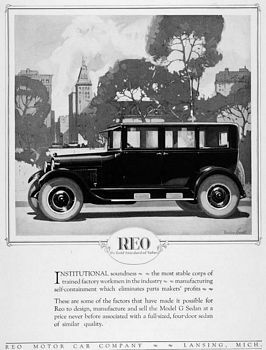 The REO Motor Car Company was a Lansing, Michigan based company that produced automobiles and trucks from 1905 to 1975. 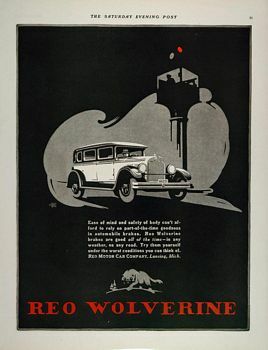 At one point the company also manufactured buses on its truck platforms. 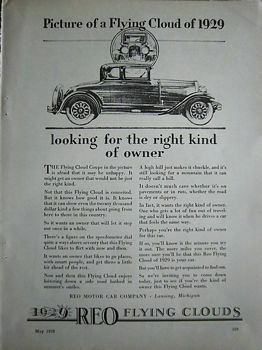 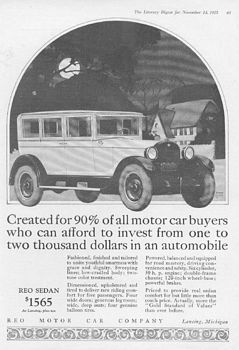 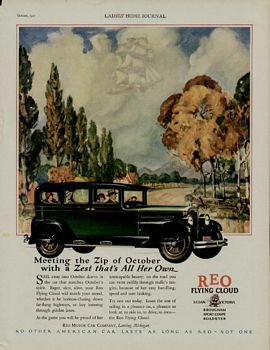 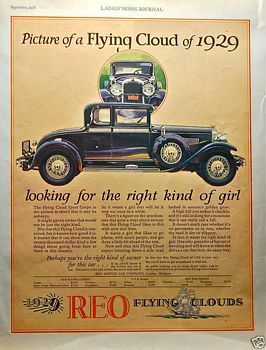 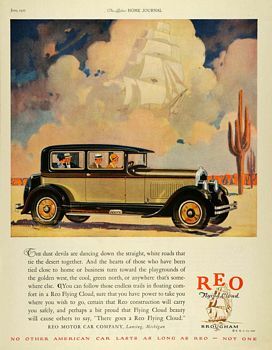 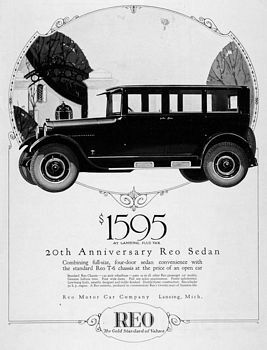 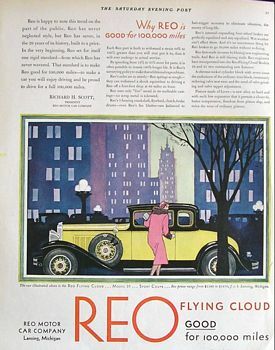 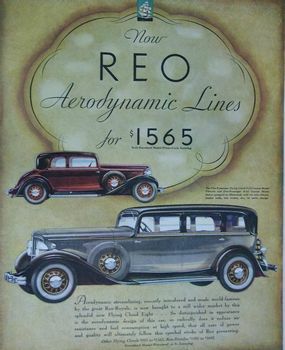 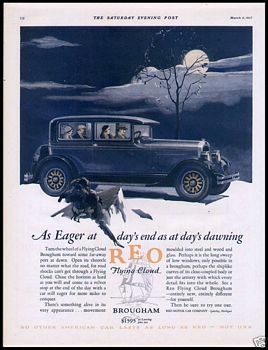 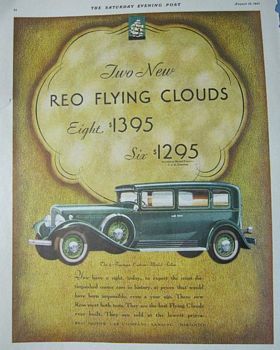 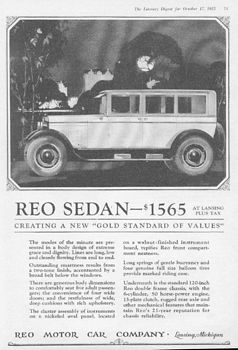 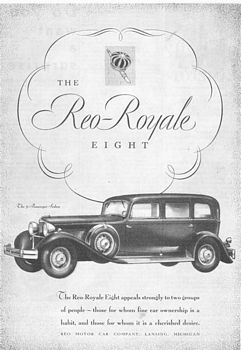 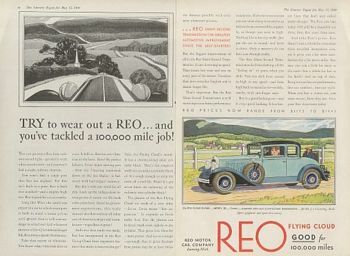 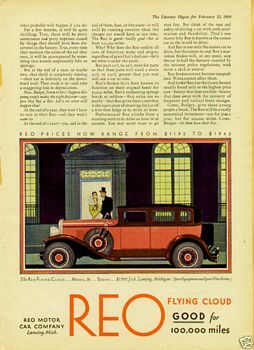 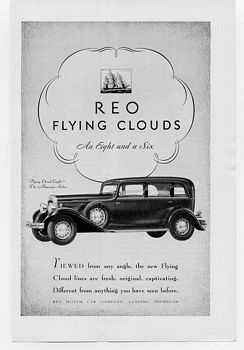 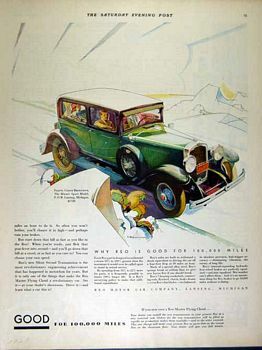 REO was founded by Ransom E. Olds in August 1904 (the name of the founder also lived on in the Oldsmobile). 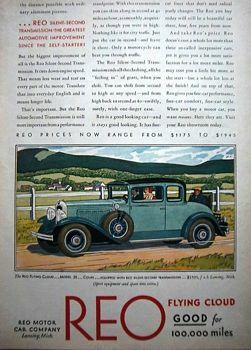 Olds held 52 percent of the stock and the titles of president and general manager. 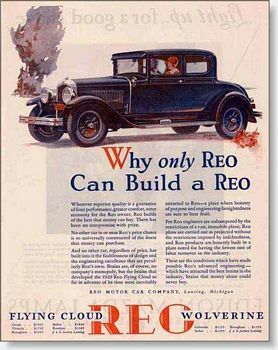 To ensure a reliable supply of parts, he organized a number of subsidiary firms like the National Oil Company, the Michigan Screw Company, and the Atlas Drop Forge Company. 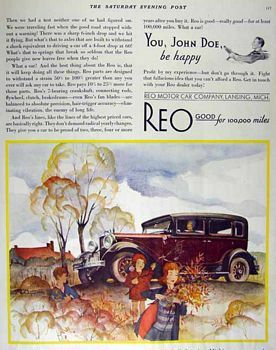 The company's name was alternately spelled in all capitals as REO or with only an initial capital as Reo, and the company's own literature was inconsistent in this regard, with early advertising using all capitals and later advertising using the "Reo" capitalization.